VANCOUVER, Wash. – Two students who bring international perspectives to education have been selected to represent Clark College on the 2008 All-Washington Academic Team. Jennifer Patterson and Men-Ok (Irina) Ziyu, who both reside in Vancouver, will be among 62 students from Washington’s 34 community and technical colleges who will be recognized on Thursday, March 20, 2008 in Olympia. The ceremony will take place at noon in the Student Union Building on the campus of South Puget Sound Community College. Former Washington Governor Gary Locke is scheduled to be the keynote speaker. In addition to Patterson and Ziyu, Clark College will be represented by Vice President of Student Affairs Dr. Rachel Ruiz and communications instructor Deena Bisig, who serves as Phi Theta Kappa advisor at the college. According to organizers, team member will once again receive $750 checks at the ceremony from the Northwest Education Loan Association (NELA) and KeyBank. The top-ranked student will be recognized as a “New Century Scholar” and will receive a $2,000 scholarship from the American Association of Community Colleges, the Coca-Cola Foundation, the Coca-Cola Scholarship Foundation and Phi Theta Kappa. Other honors will include two $1,000 Trustee Scholarships, which will presented to the second- and third-ranked members of the team by the Trustees Association of Community and Technical College (TACTC). In addition, many of Washington’s public and private four-year colleges are offering scholarship opportunities to members of the team. 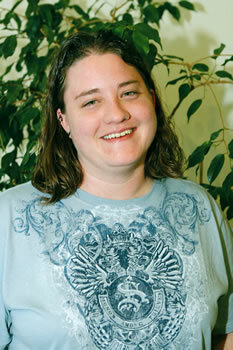 Jennifer Patterson’s interest in global cultures led to her place on the 2008 All-Washington Academic Team. Patterson credits her upbringing in Las Vegas, a city that attracts tourists from around the world, with creating her deep-seated fascination with other cultures. She left her job in retail as an assistant manager and was drawn to Clark’s degree program in international studies. Since her arrival at Clark, Patterson has made significant contributions to the college’s German Club, serving as its president, communications officer and club representative. She is also active with the college’s History Club and Queer Penguins and Allies, and she volunteers locally at the Vancouver Vietnam War Memorial and with Columbia Land Trust. She is also a German and math tutor. Men-Ok (Irina) Ziyu’s educational journey now includes being named to the 2008 All-Washington Academic Team. Irina Ziyu came to the United States from Russia in 2004, leaving behind family and friends, her education at a medical university and her job. She spoke no English. 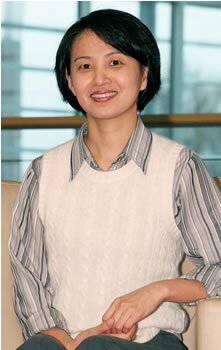 After taking English as a second language (ESL) classes at Clark, Ziyu wanted to pursue her education further. She enrolled in general education classes and soon discovered her passion for chemistry. Now she is studying to become a nurse and works as a chemistry tutor. She also volunteers in Clark’s adult literacy program, helping Russian immigrant students develop their reading, writing and speaking skills. Phi Theta Kappa, the International Honor Society for two-year colleges, introduced the All-USA Academic Team to recognize and honor two-year college students for their scholastic achievement and community and college service. In 1996, Washington launched its state program. A steering committee comprised of community and technical college presidents, Phi Theta Kappa representatives, public information officers from two-year colleges and representatives from the Washington State Board for Community and Technical Colleges put together the first recognition ceremony in the Governor’s Mansion. The ceremony honored 44 students representing 24 community and technical colleges.